Your next elevator pitch might actually come from data derived from your elevator. That’s the case for an unnamed elevator manufacturing company that used Splunk’s machine data logging software to track how often its elevators were taking trips in its clients’ buildings. It noticed that the fewer trips people made, the more likely it was that the client would cancel the lucrative maintenance contracts the firm offered. So it took that data and tweaked its approach. Now when it sees a slowdown it reaches out to the client to try a new plan or just make sure the clients don’t cancel. In the future it may offer new pricing plans to adjust for slack usage. That’s just one way connected devices and the data they offer can be used for benefitting a business. But the value of constant connectivity to a firm goes far beyond that — and could change the way businesses operate. Even after a product goes out the door, the company responsible can still keep an eye on it. That has big repercussions for business and consumers — and not all of those repercussions may be welcome. Always be talking … to your device. For example, the constant contact can also help tweak a design or improve the function of a product — even out in the field. In a recent conversation, Splunk’s Tapan Bhatt walked me through a few examples such as the one above, where the company’s machine logging data helped businesses adjust. 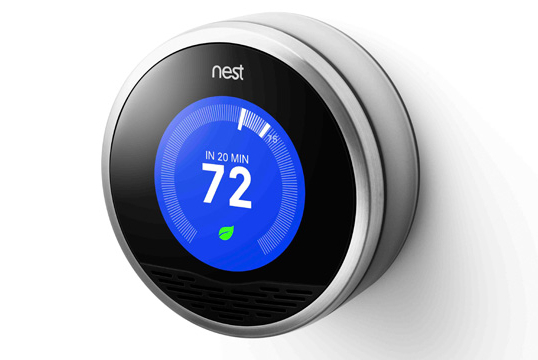 For example, the makers of the Nest thermostat use Splunk to analyze data uploaded from hundreds of thousands of homes, and tune their algorithms for energy performance. Medical device manufacturer iRhythm uploads remote monitor data to Splunk to make sure devices run as expected, as well as help ensure that patients can use the devices intuitively. In many ways this isn’t new. Jeremy Conrad at Lemnos Labs pointed out to me in a conversation last month that many manufactured devices are tweaked again and again after the first manufacturing run to smooth out perceived and real flaws in the design. The shift is that it can now happen constantly and that the changes might be implemented weeks or months after the product has been manufactured. Advertising firms and online publications have been using such data to refine their products for years. The Huffington Post’s love of A/B headline testing is well documented, while the use of eye tracking in web site design is a common practice. But more connectivity in devices means the fine-tuning and easy tracking that are common in digital products are now available in the real world. Connected devices not only offer you the ability to get data from your goods (while software like Splunk’s helps you log and later analyse it), but it also allows you to change how they feel and function. For example, Orbotix, the company that makes the Sphero not only knows the moment someone activates one of the Bluetooth-controlled balls, but can give it new abilities with an over the air update. This connectivity and resulting data can also help with business goals, like improving manufacturing, anticipating demand and even holding reviewers accountable for their articles as was the case when The New York Times and Elon Musk, the CEO of Tesla got in a public battle over a poor review of the electric car. The board at the Orbotix HQ that tracks all the active Spheros in the wild. At Orbotix a billboard in the office tracks how many Sphero’s were activated that day, that month and even over longer periods of time. If you stand in front of it for a few moments the numbers will change. Paul Berberian, the CEO of Orbotix told me that during the holiday season the numbers were changing so fast it was hard to keep up. During the rest of the year evenings and weekends were popular times for seeing the numbers flip more rapidly. As this data accumulates he’s finding that he can better anticipate demand and plan inventory to meet it. Perhaps if he wanted to, he could implement a similar program to that elevator company, watch the data from individual Sphero’s and when interest seems to wane perhaps the company sends a notification to the user about a new app available for the ball. But it’s not always about the customer — this data can be used to monitor manufacturing partners or suppliers. 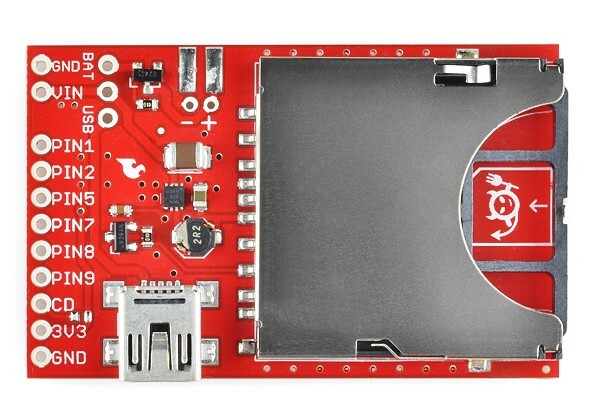 For example, Electric Imp, which makes a tiny module that device makers can insert into their products to give it connectivity (it’s a radio with access to a cloud back end), connects its modules as they come off the line. One of the final steps in the packaging process is each module gets an ID laser-etched onto it. This process requires the module to “wake up,” connect to its virtual machine in the cloud to get its ID number, and then tell the laser etching machine (which has its own Imp module) what number to print on it. As part of this process Electric Imp’s management can track all of its modules off the manufacturing line and get key information about yields and even product theft. Of course the flip side of this constant connectivity is the disquieting sensation that even as you enjoy a product it’s not yours. It’s features might change at any point. Perhaps things you love about the product or even features you’ve purchased, might suddenly disappear. As a consumer, the idea of dynamic pricing can seem exciting if you don’t use something a lot, but it becomes a source of higher costs if you have a building with very active elevators, for example. And perhaps most unsettling is the realization that these products can act as a doorway into your home, sharing information that perhaps you’d rather it didn’t. Your car tracking your trips. A toy that knows if you’ve skipped school to play video games. It’s unsettling enough that this happens on the web and with our phones. As this capability hits more devices, we may find ourselves taking the stairs instead of a connected elevator or playing with an old-fashioned doll instead of a Bluetooth enabled ball. And if you are a Luddite who doesn’t want to share your information with others, there is no recourse. In many cases, you may not even be aware that your information is being shared. And even if you are, you probably can’t modify the product to stop sending its information. Of course there are alternatives. If you don’t want your household temperature settings to be shared with the world, disconnect the Nest and buy a fan – a paper fan with (hopefully) no embedded electronics. I don’t think you have to be a Luddite to be concerned about privacy. And the benefits of connectivity in products are real. I think socially we’re just going to have to adjust. And that adjustment period is going to be awkward and some people will suffer during it more than others.